This book has been written specifically to meet the needs of counsellors and trainers working with the National Health Service. It will also provide useful insights for doctors, nurses, and managers within the healthcare sector. The book covers topics such as, difference and diversity, colour, language barriers, oppressed nurses, stressed managers, changes in the NHS, exhaustion and late cancellations. 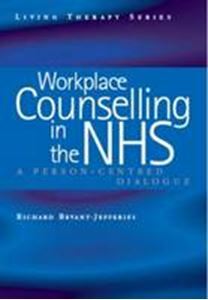 Adopting the unique approach of the Living Therapy series, this book uses fictitious dialogues to enable the reader to directly experience the therapeutic process, providing real insight into the experience of workplace counselling in the NHS and also in other work settings.